Young lawyer Sam Williams is riding high. He’s got a job he loves, a girl he wants, and the brain to win out every time. But Sam’s about to find out that he’s got enemies, too. And figuring out which one wants to hurt him most isn’t as easy as it seems. 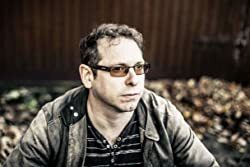 Victims introduces Sam Williams, hero of international bestseller The Art of Staying Dead and the upcoming thriller Dead North, ten years younger than we last saw him, and a lot less wise. 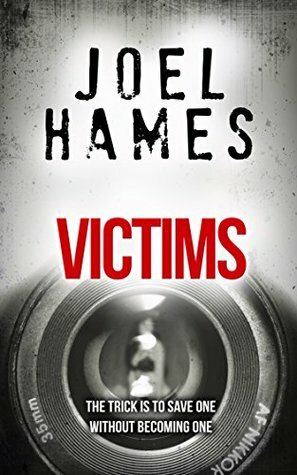 Please note that Victims is a novella, not a full length novel. Also included are the first two chapters of The Art of Staying Dead. I have read a couple of this author’s books before, one being The Art of Staying Dead, where Sam Williams plays a mighty cool role in it. Well this novella is a story about Sam only ten years before, when he was a little bit wet behind the ears and a lot more gullible. So I took a step back to meet a much younger Sam with a strut to match another up and coming Lawyer like him. Both working within spitting distance of each other. They both wanted to make a name for themselves and battled to get the cream of the cases. Sam is pretty happy with himself as he waits for his new stunning girlfriend to arrive at the pub, filled with other yuppies like him. The tables turn when his life is threatened but he has no idea by who or why, only that the very direct message was meant for him. He is pretty sure who the message is from. Now to say that this is a novella it is tense, exciting and thrilling on every page not a word is wasted. I can’t help but really like Sam he is the Knight in shinning armour that everyone wants to know because this guy is willing to take one for the team, his girl or a stranger. He is one of the good guys that everyone cheers on until the tables turn then they see nothing. Hero to victim and every man for himself. If you haven’t met Sam before then start here before you go on to the big guns of The Art of Staying dead but do read them both. Sam is a fascinating character, sensitive, clever and with a mind that will battle anyone to the ground.